Information is becoming more accessible thanks to search engines like Google and Bing, which means your firm needs to increase the focus on capturing traffic. How do you do that? By utilizing Search Engine Optimization (SEO). What is SEO and why is it important? SEO is the process of affecting the visibility of a website or a web page organically in a web search engine’s results. Implementing a strategy around getting the most exposure to your webpages takes time and resources, but when successful it can provide your brand with a huge competitive edge over others by allowing customers to better discover you. • Articles with catchy titles get 3x more views than those with generic titles. Titles are the strongest hook to get readers interested in your content. Additionally, search engines place a high priority on titles. When a search engine reviews a website, it looks at the title in order to determine what the page is about. To maximize for SEO, write a title that is 4-7 words long and includes a relevant keyword or two that directly relates to the post’s content. • Titles may get people interested, but it’s the content itself that gets them to stay engaged. The impact of writing interesting content goes beyond having a high percent of users who read the full post. Search engines seek to provide their users with quality search results. If the content and title inaccurately portrays what the page is about, search engines like Google and Bing will push those posts further down in the search results. To optimize your content for SEO make sure to include a minimum of 300 words. Be sure to include relevant keywords related to any videos, images, or documents you may have in the post. Establishing high Klout score on the internet, also known as web authority, is the hardest part of implementing a successful SEO strategy. The more other people link back to a site, the more rapport you will establish with search engines like Google and Bing. At Harvest Exchange, we’ve generated successful results for our clients by improving our own SEO. Content shared on Harvest has a greater likelihood of appearing higher in search results, thus allowing for greater discovery by others. 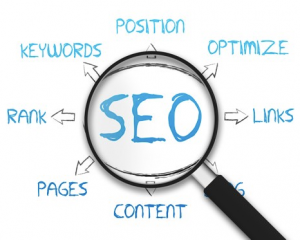 Equally important, strong SEO also has the added benefit of pushing down any negative news.